Food is a central component of culture. When traditional foods are revalued and nutrition is understood from the perspective of the Mayan worldview, the culture itself is valued. In this part of Chiapas, it is now difficult to find traditional wild leafy vegetables in the fields and other fertile spaces because of the indiscriminate use of herbicides. The consumption of traditional foods has declined as a result. The notion of “development” in agricultural practices has also changed the way local people see and experience food, and the negative impacts on biodiversity, culture and nutrition are numerous. The success of this project would see 100 families from 6 communities rescuing, revaluing and saving the seeds, foods and recipes of traditional dishes. It would also incorporate the wisdom of elders concerning a form of agriculture linked to a spiritual relationship with Mother Earth and the Natural Good. 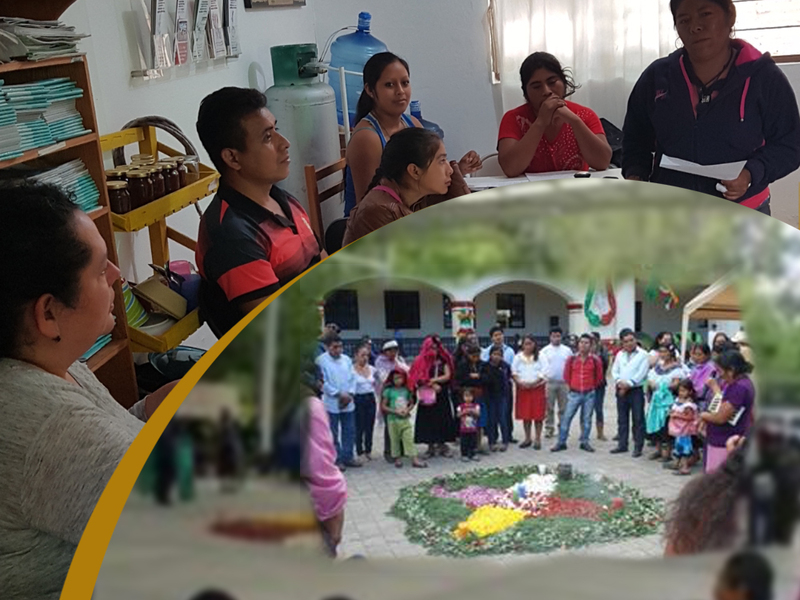 These 100 families would reintegrate into their daily routines elements of the Mayan worldview and spirituality, including the frequent use of the Mayan calendar and a reconnection to the knowledge and energies of the cosmos.